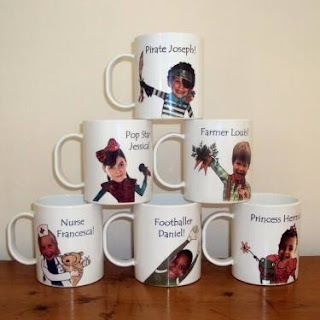 We was thrilled to be sent a photo-personalised mug from Itsyourstory.co.uk new range. I'm a sucker for anything personalised. i love the uniqueness and quirkiness of anything different that holds memories. The mugs are made from light weight plastic (no need to worry about breakages). Which makes it perfect for little hands and sturdy for indoor or outdoor use. Due to the clever print process there is no chance of them chipping or scratching as the dye sinks into the material making it very robust. They come in a selection of designs - Cowboy/girl - Explorer - Farmer - Firefighter - Flamenco Dancer - Footballer- Knight - Monkey - Monster - Nurse - Pirate - Pop Star - Princess - Rockstar & Superhero. So there is something to suit every personality & would make a fantastic gift for any child. 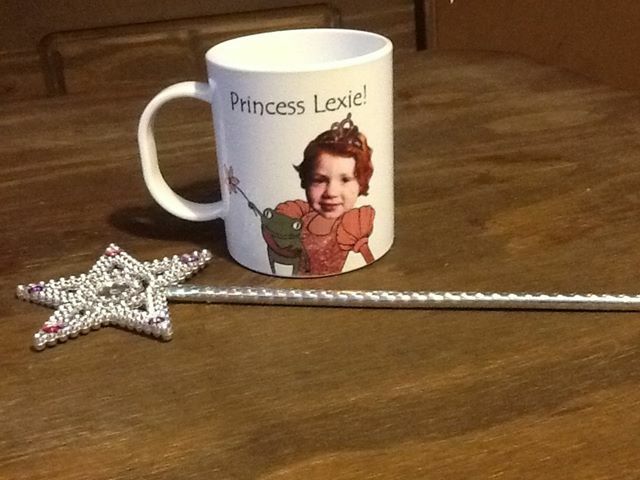 We chose the princess design which is a cute image of a princess holding a frog with a wand, wearing a cute pink dress with am added tiara. The photo you upload goes on the head part so it looks like your child as a princess. The mug is lightweight and Lexie loved it straight away, she has been drinking from it since we received it. The Price of the mugs are £10- Which is fantastic value. 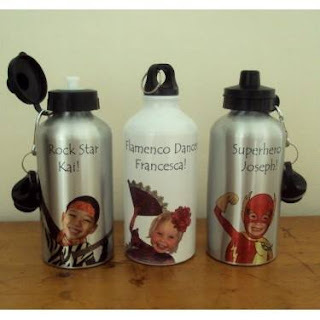 There is also Matching personalised water bottles also available in silver or white.